Ice-cream is one of the most favorite deserts around the world. This yummy, chilled and soft desert is not bound to any age or gender and is loved by people of all ages. It is as popular in adults as it is in children. Different types of ice-creams are available in the market depending on the flavor and the company produced. The most common flavors that are available everywhere are vanilla, strawberry and chocolate. With time there has been a lot of variation in ice-cream, different flavors and fusions of ice-creams are introduced in the markets which are getting popular day by day. Some of them are reasonably priced while some cannot be afforded by common people. WHY TO PURCHASE AN ICE-CREAM MAKER? People enjoy eating ice-cream the whole year. Whether it is steaming hot summers or chilled winter, people still prefer eating their favorite ice-cream. But what if you can make your favorite ice-cream just at home? You don’t need to go out and spend a lot of money buying ice-cream for your whole family when you can just relax at home and with a click of a button your ice-cream is ready in few hours. A wide variety of some professional ice-cream makers are available to be purchased from iShopping.pk. 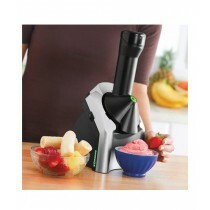 These ice-cream makers are of top quality with a guarantee that it will never let your favorite ice-cream go away. These available ice-cream makers are both for home and professional use. So why not having some of your favorite ice-cream tomorrow night after dinner? 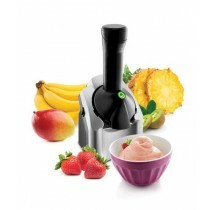 The ice-cream maker is just a click away. WANT TO BUY AN ICE-CREAM MAKER? Just pick one of your favorite ice-cream and add it to the shopping cart. You may continue shopping and proceed further. While shopping with us you can experience the products to be just too amazing. Our products are 100% genuine and very reasonably priced. Once finished you can simply Checkout and confirm your order providing some basic information your address and payment method. Our Customer Services Representatives are available 24/7. Feel free to contact with any of your queries. We love to serve our customers any time of the day.